Daniel Durini is currently Research Professor in areas of microelectronics and radiation detection at the National Institute of Astrophysics, Optics and Electronics (INAOE) in Puebla, Mexico. He obtained the B.Sc. degree in Electrical-Electronic Engineering from the National Autonomous University of Mexico (UNAM) in 2002, the M.Sc. degree in area of Microelectronics from the National Institute of Astrophysics, Optics and Electronics in Mexico in 2003, and the Ph.D. degree in area of Microelectronics from the University of Duisburg-Essen in Germany in 2009. He was with the Fraunhofer Institute for Microelectronic Circuits and Systems (IMS) in Duisburg, Germany, between 2004 and end of 2013, where he led during the last four years a group dedicated to developing special CMOS process modules for high-performance photodetection devices, pixel structures and imagers. Prior to his current position, he was with the Central Institute of Engineering, Electronics and Analytics, ZEA-2 – Electronic Systems of the research centre Forschungszentrum Jülich in Jülich, Germany, where he headed between 2015 and beginning of 2018 the development of Detector Systems dedicated to scientific applications. He received the Duisburger Sparkasse Award for outstanding Ph.D. thesis in 2009 and two best paper awards. 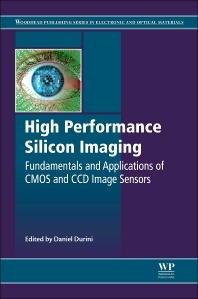 He has authored and co-authored more than 60 technical papers and three book chapters, and holds six patents in the area of CMOS image sensors. He is Member of the IEEE since 2009, and forms part of the National System for Researchers (SNI) in Mexico since 2014.